As a teenager, Orville Johnston worked summers on George Mollard’s cranberry farm in MacTier. It was Ontario’s first commercial cranberry farm, and it inspired Orv. He enrolled at McGill University to study agriculture. 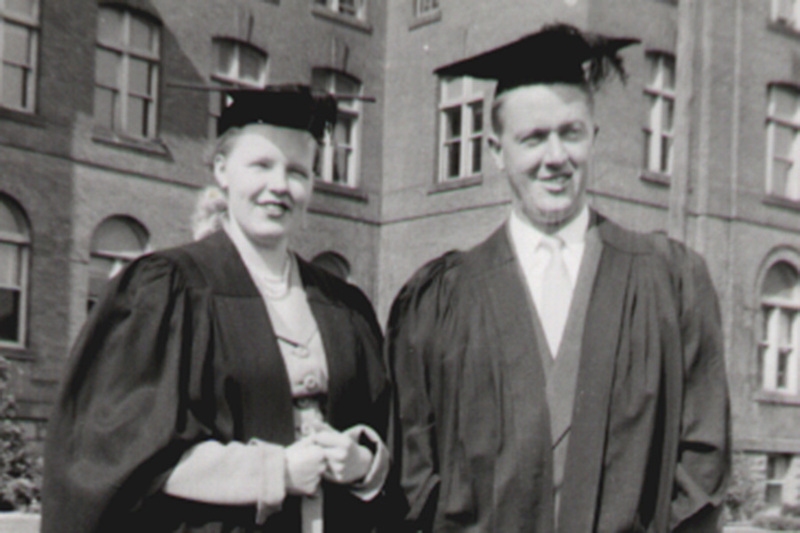 At university, he met wife-to-be, June, who was studying home economics. In 1950, the summer before graduation, Orv bought land in Bala and began building Ontario’s second cranberry farm. By the mid 1950’s, it was Ontario’s only cranberry farm and stayed that way until the 1970’s. Together, Orv and June pioneered an industry, growing cranberries, raising a family of four and making products from the fruit they grew. Orv and June’s son, Murray, studied agriculture at University of Guelph with an eye on continuing the cranberry tradition. Murray’s wife, Wendy, has an MBA from University of Guelph, focusing in tourism and agribusiness. 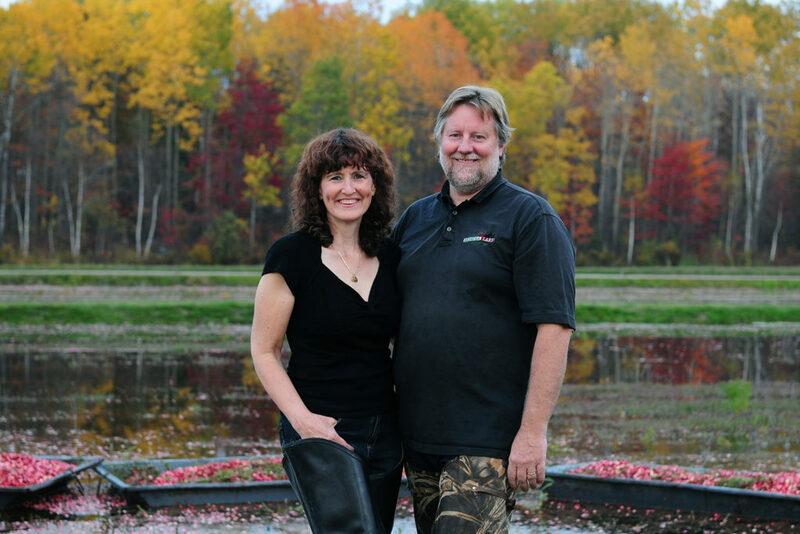 Together, Murray and Wendy expanded the farm to include Muskoka Lakes Winery. Award winning wines from Muskoka Lakes are available at the winery and through the LCBO. The farm and winery is now open to visitors year round. The daily Bog to Bottle Discovery is a Signature Canadian Experience. Along with a patio, wine tasting, hiking and snowshoe trails, and harvest activities like the Cranberry Plunge, the couple has recently added an Ice Trail and Blueberry Hill making the farm a Muskoka ‘must do’ in any season. Murray and Wendy have four boys who help out on the farm. Their grandfather carved a cranberry farm out of the rugged Muskoka landscape. Their grandmother created, ‘Mrs J’s Preserves’ and wrote a cookbook. Their parents built a destination and started a winery. 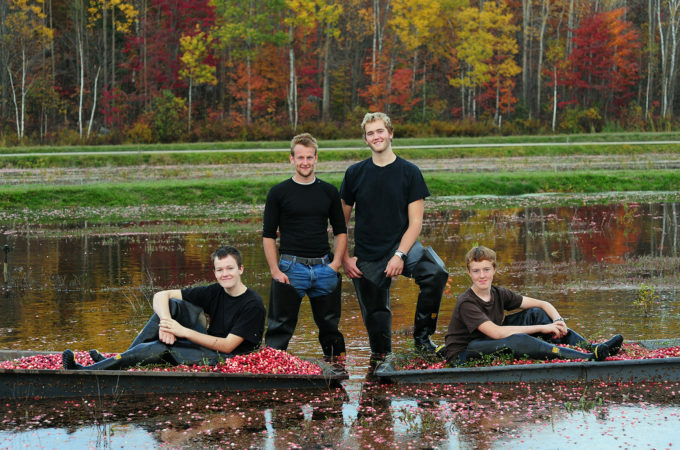 Who knows what kind of future these boys may have with cranberries? We look forward to finding out!